The walleye bite continues to be VERY good. Maybe not the mind blowing fishing of the past two weeks when we were averaging nearly 50 fish per trip! The fishing pressure in crab creek and Lind Coulee has been intense. Saturday there were over 80 boats in a popular community hole in crab creek. I prefer to not play bumper boats but I have to say that the little time I spent in the crowd everyone seemed to work together, be polite, and even helpful to each other. 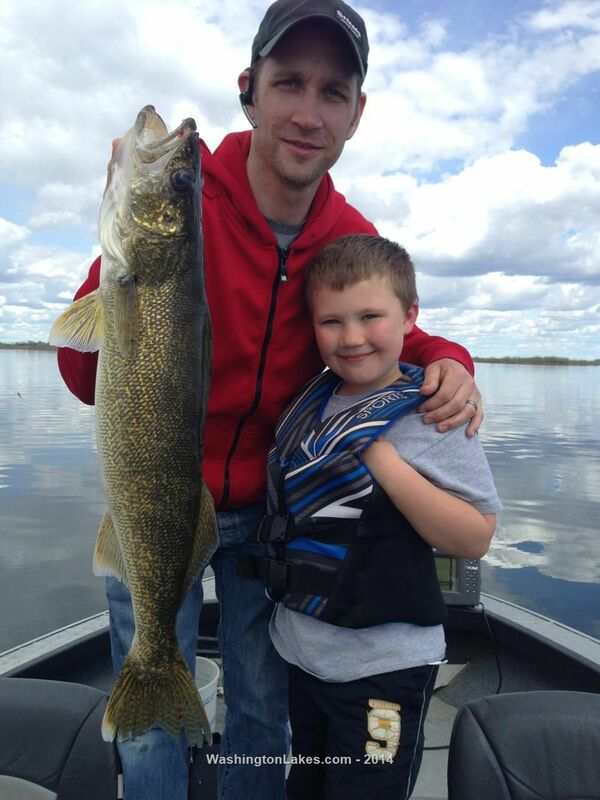 This says a lot about our walleye angling community. Nice work guys! Back to the fishing.. 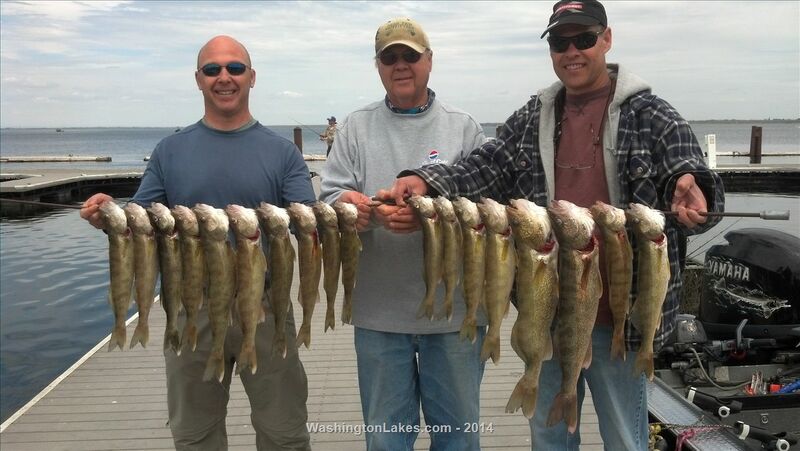 The weekend Friday thru Sunday we boated 79 walleye with 20 over 20" and 11 over 23". Monday and Tuesday morning I bass fished but Tuesday evening snuck back out and caught 9 in 2 hours by myself. (All released) most of the fish have been caught in 12-16 feet of water but don't be afraid to move deeper 25-35. Spinners and slow death are still the ticket. I also had the pleasure of filming a walleye fishing basics video with Mark Peterson of WDFW that will be out shortly on their website fishwashington.com, we boated nearly 50 walleye and had a great morning. I have a couple of openings in the next several weeks. Get here and put a hook in em! I'm camping there in a couple of weeks. I hope it's still hot hot hot fishing there.